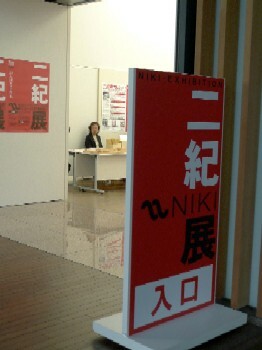 I got a complimentary ticket for an exhibition called Niki-ten including pictures and sculptures that were selected in a contest hosted by Niki-kai, one of major art organizations in Japan. 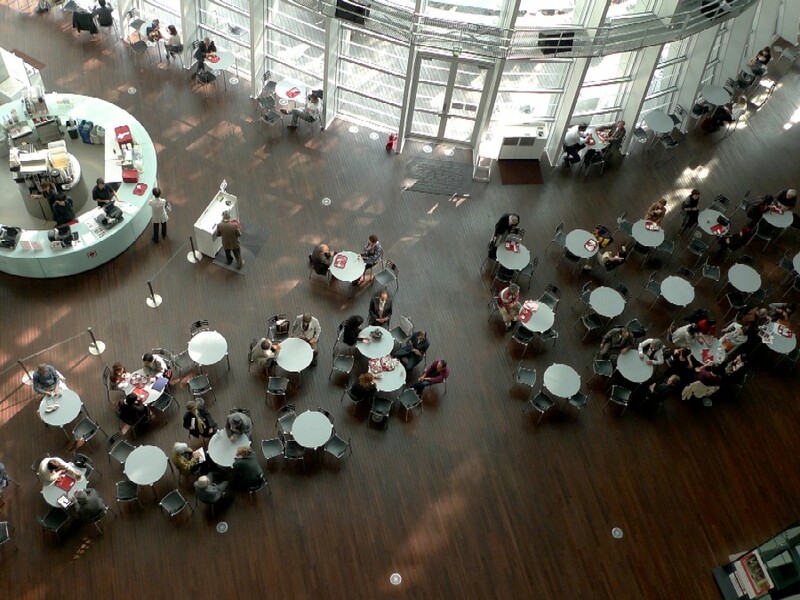 The exhibition is being held at the National Art Center, Tokyo, in Roppongi from December 12th to 24th. 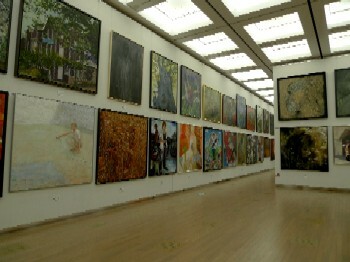 The Art Center is the national government's fifth art institution that’s a venue for various art exhibitions. 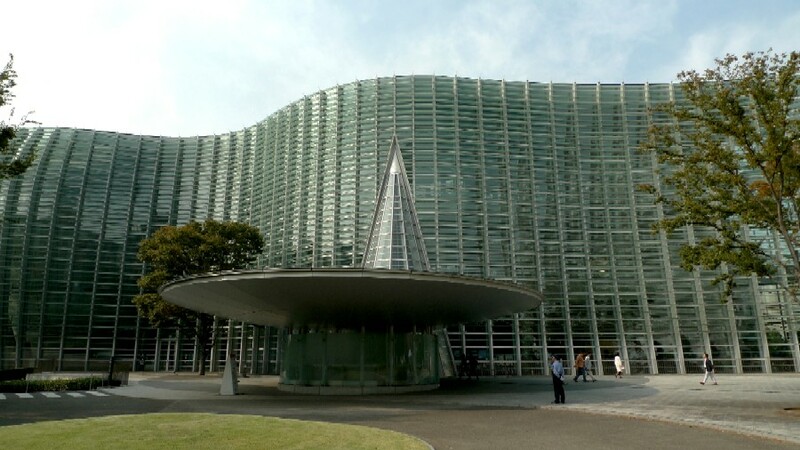 Kisyo Kurokawa (1934 – 2007), a high official, designed the building. The Art Center established in 2007 is near my house, but I visited it yesterday for the first time. Well, usually, I’m not interested in an exhibition displaying the works sought from the public. However, I brought me to Niki-ten past weekend because I felt like doing something different than usual on that occasion. Almost all pictures were more than size 60” (about 1,300×1,300cm). Surprisingly, it was very fun to look at! It was like a big toy box. 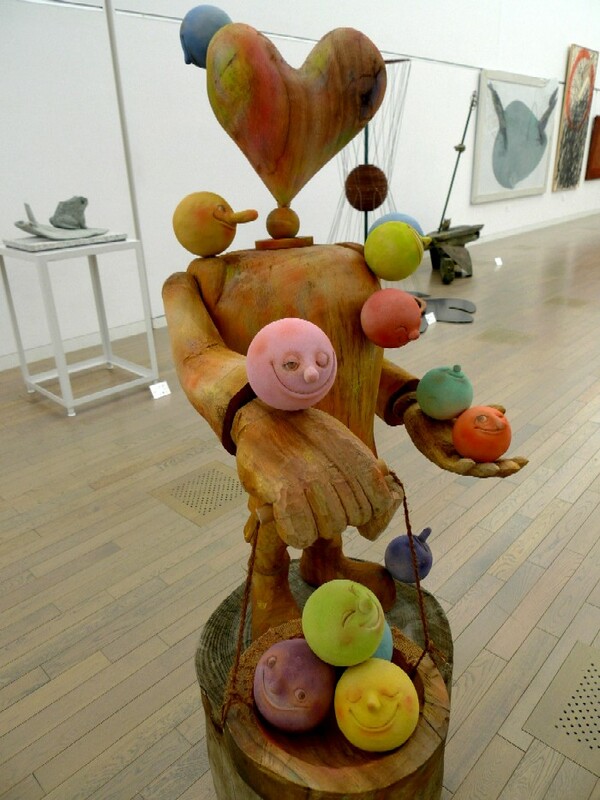 Approximately, 800 pictures and 100 sculptures on various themes were being exhibited. Due in part to the large-sized works, the enthusiasm of creators was catching. Many painters employed every possible means and techniques, and they appealed and pushed out their themes straight and strongly. I realized there is this huge mass of humanity that want to express oneself in the form of art throughout the country. This is Kinakinw Award-winning sculpture chosen from among 1,800 works. In addition to it, the other exhibition, The Phillips Collection, is also taking place at the museum, so I stopped at it, too. The Phillips Collection is an art museum founded by Duncan Phillips in 1921 located in Washington, D.C. From the Collection, 110 pictures painted from the late 19th to the middle of the 20th century by American artists. Well, again, I have limited interest in the modern American paintings (when I visit a big museum in the States, I always skip that sections). It's not that I dislike O'Keeffe, Hopper or Davis, but I personally regard the works by them are kind of graphic designs and am content to view them by printed forms. So, I just don’t feel a strong motivation to see those original pictures. I cannot say I was fascinated in the Phillips Collection, but I enjoyed viewing them.